When I look back at the horror that ended the day, July 14th, it’s almost impossible to believe it started off so well. July 14th isn’t just any day in France. It’s French National Day. The country celebrates its special holiday with festive events, family gatherings and oodles of fireworks. 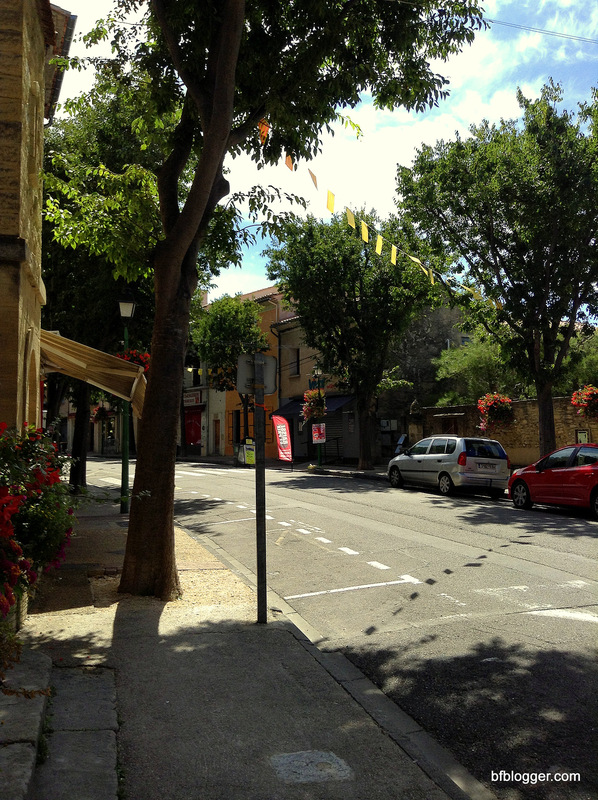 This year I traveled out of Uzes to Caromb to visit with friends and to see what we could see of the Tour de France. 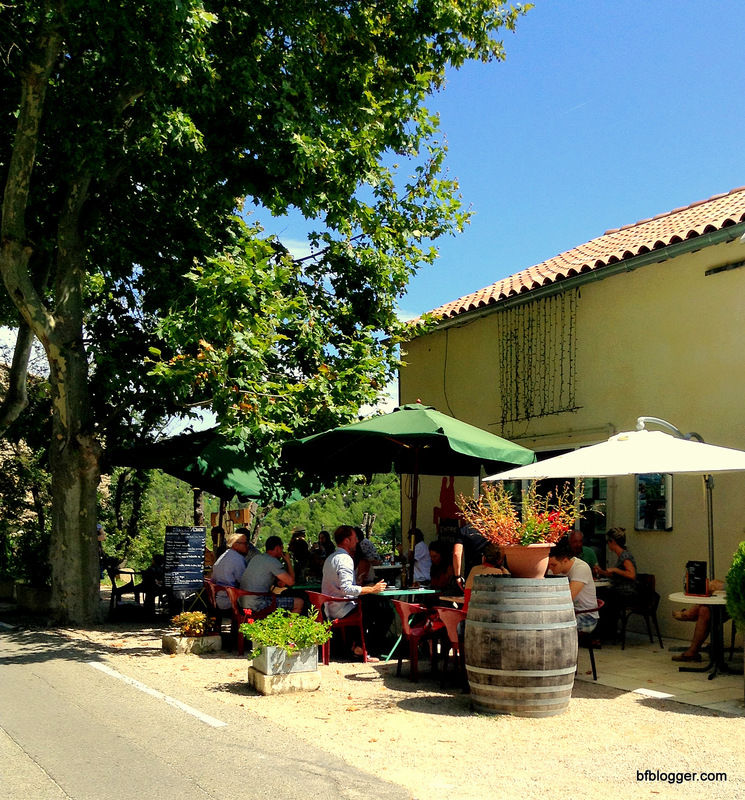 Caromb is only a short distance away from Mount Ventoux, the twelfth stage of the 2016 race. The day started out better than we could have ever expected. Mistral winds were blowing briskly so the skies were sparkling blue and the temperature was pleasant for mid-July. 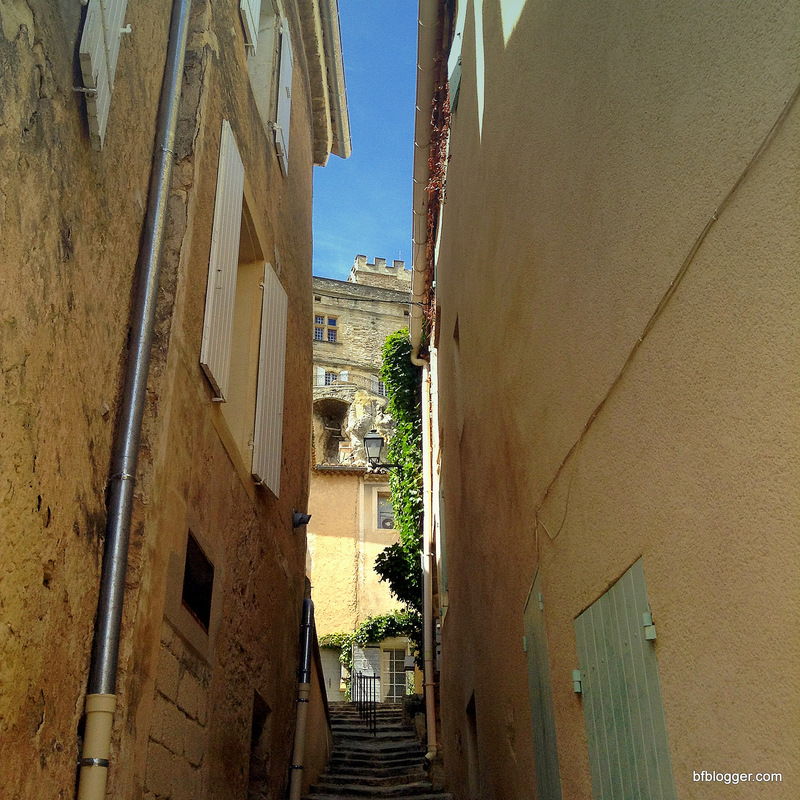 With a bit of time to spare before the cyclists were to reach our viewing spot, we stopped the car and walked through the hilltop village of Crillon-le-Brave. When the cyclists were near, a parade of cars — all painted with sponsor’s colors and logos — appeared first. Then, in what seemed like an instant, the bikers passed en mass. Over the next few minutes, cars with dozens of bikes perched on racks on top whizzed by. After our quick glimpse of the Tour de France, we returned to Caromb where our friend, Carola, and her new puppy, Fan Fan, were waiting to hear all about our adventure. Carola informed us that she had heard on the radio that the Tour de France leader had been involved in a freak accident. He had lost his bike in the crash and had run in his cleats to win the race. It was an unfortunate turn of events, for sure, but not enough to steal the “buzz” from our wonderful day. When evening came, we tried out the new restaurant in town then we walked home. On the way we all remarked about the peaceful glow of the moon over the village. Who could have dreamt the moon was shining on a different scene unfolding. Pray for Nice. Pray for France. Pray for the World. 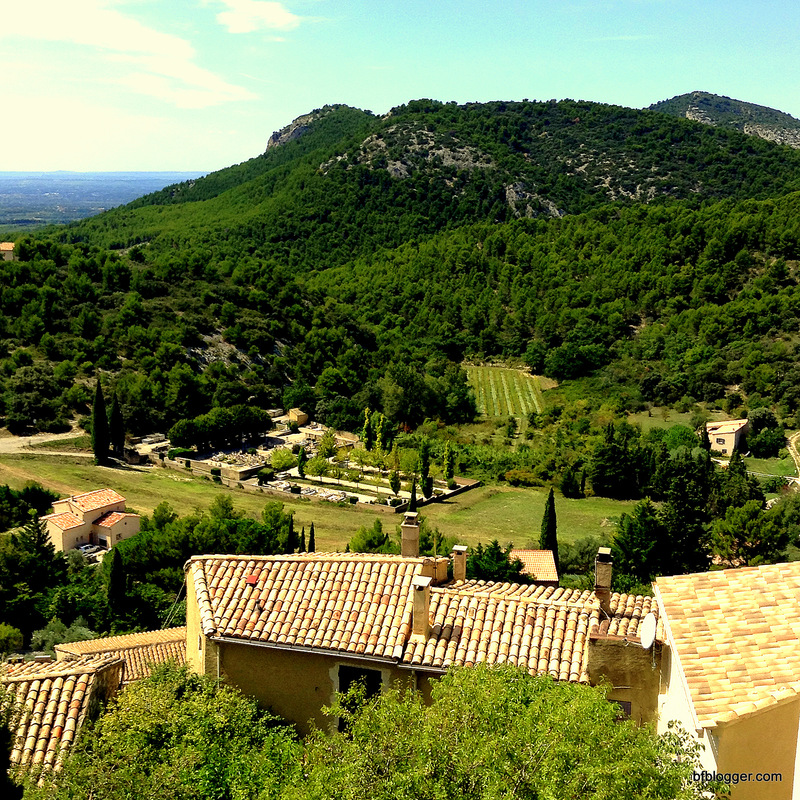 Caromb wasn’t on the top of my list of places to visit in France, yet it exceeded my expectations. Where else would I have learned about Pipinettes? In the last couple of weeks I’ve made a concerted effort to meet some fellow bloggers and tweeters who write about France. Hilda, a popular “tweeter”, came to Uzes for Saturday Market, followed by “Ginger and Nutmeg” who came during the week for lunch. What fun it’s been to share our love of this crazy new art form and technology with each other. While Hilda and I were getting acquainted, she told me about her Swedish friend Carola who lives in Caromb. She was determined that the two of us meet, so Hilda invited me to drive to Caromb the next week to spend the day in the village where she and Carola live. Now that “Lucy” is at my disposal, I was raring to take her out for a spin in the French countryside. 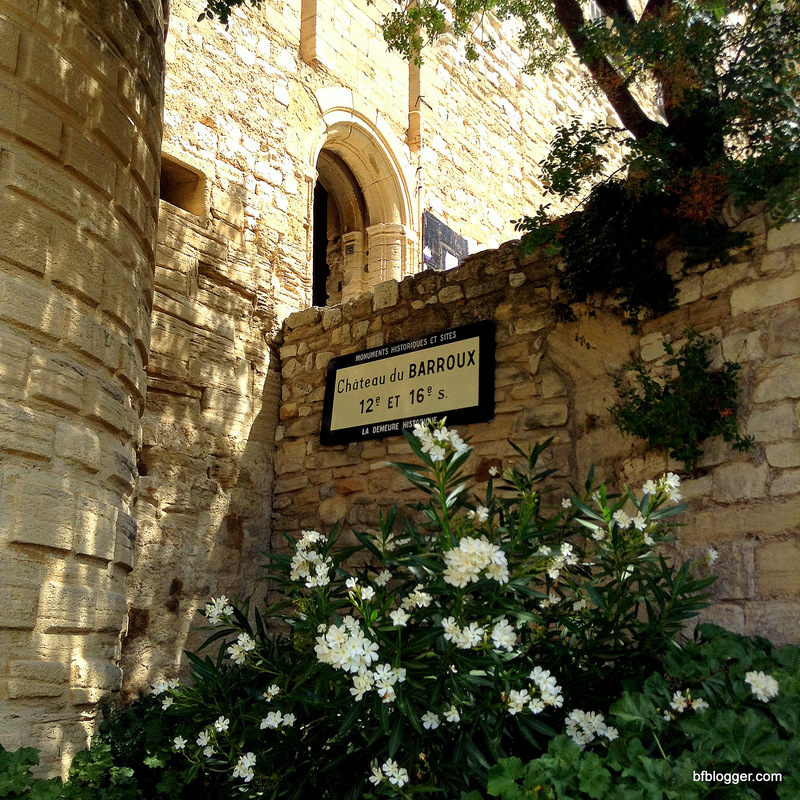 Caromb is less than two hours away from Uzes. With a decent GPS, I would have met Carola and Hilda at the appointed time, mid morning. I was late. Nevertheless, we had plenty of time to spend together at Carola’s beautiful home enjoying the lovely terrace and garden, pastries from the nearby boulangerie, and figs straight from her trees. I learned a lot that day in Caromb. First I discovered something fascinating about the vine the French love to cover their terraces and walls. It’s Virginia Creeper. Yes, its the same vine that’s found in the States — especially in the South — the one we hate! Who knew it bore fruit? Where I lived in South Carolina, we couldn’t rip it out fast enough. 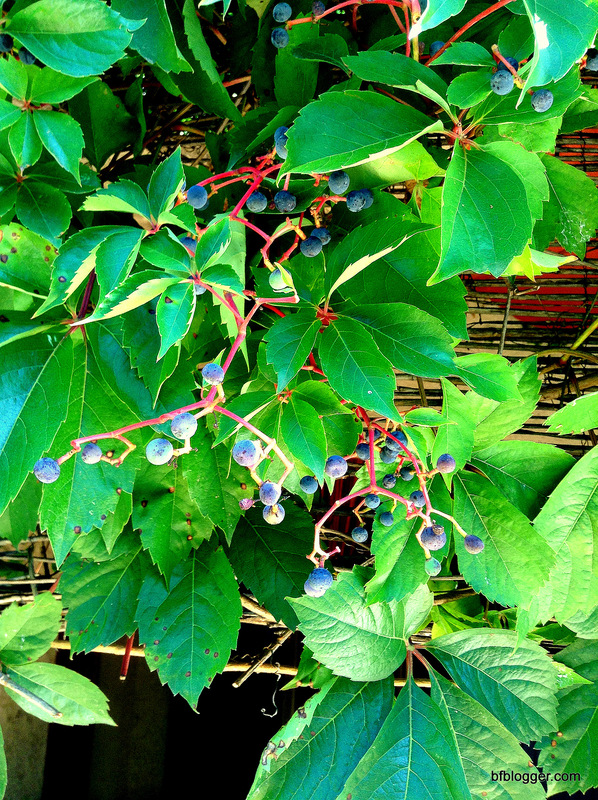 Here Virginia Creeper is cultivated, trimmed and admired for it’s fullness, shade and fruit. 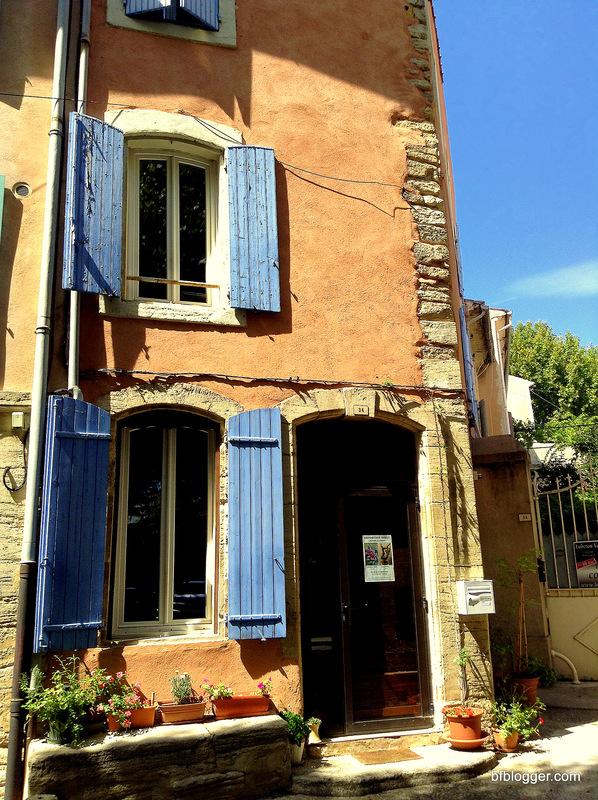 Virginia Creeper provides shade for terraces in France. 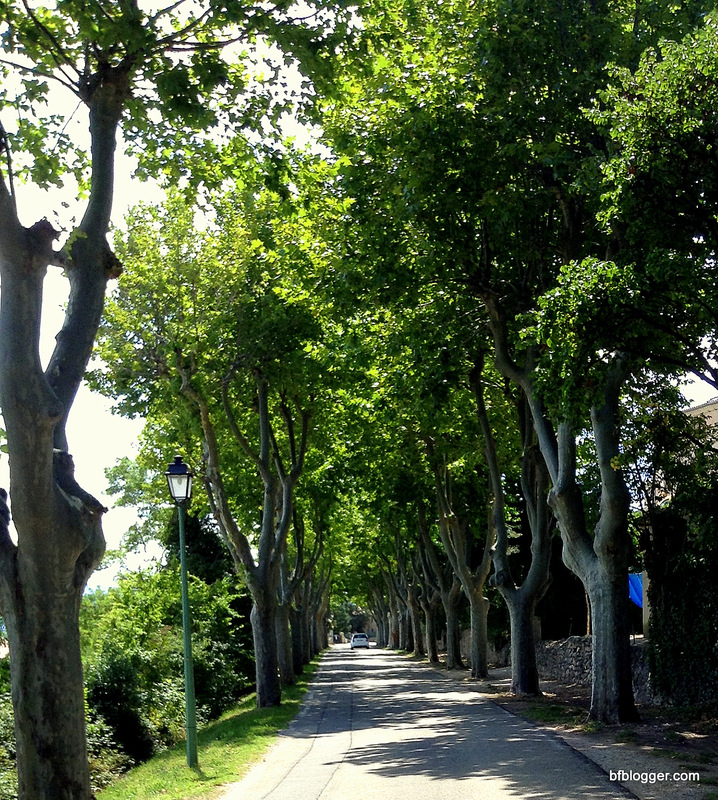 Next I learned that the plane trees of France, which I love so much, have branches that look like bamboo. I’m guessing that’s why the massive trees grow up strong enough to withstand winds like Le Mistral. Of course, I learned a little about Caromb. I’ll have to come back again to really delve into the history about the once fortified village that has fourteen fountains — one that originated in 1369 and is the oldest in France. 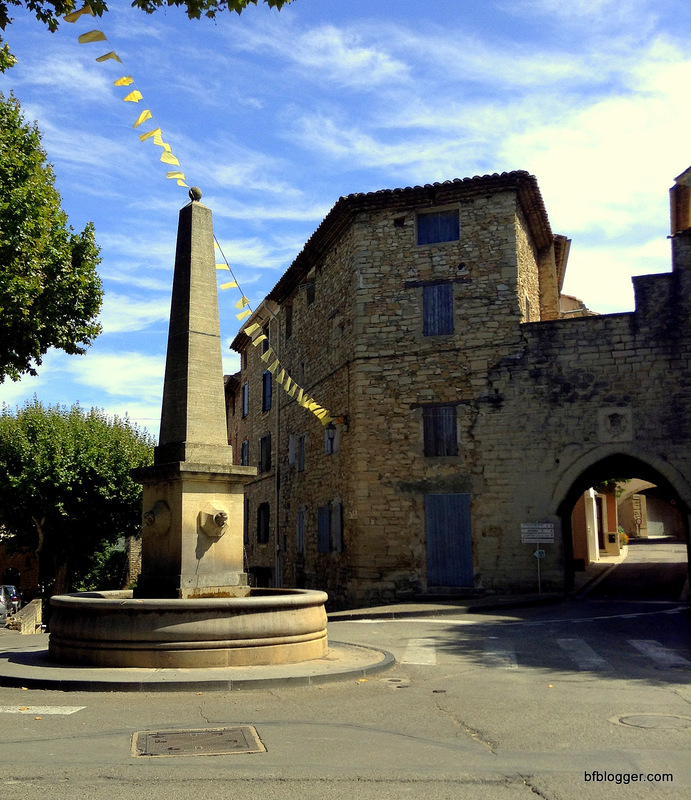 The most popular fountain is the Fountain du Portail du Rieu, built in 1379. 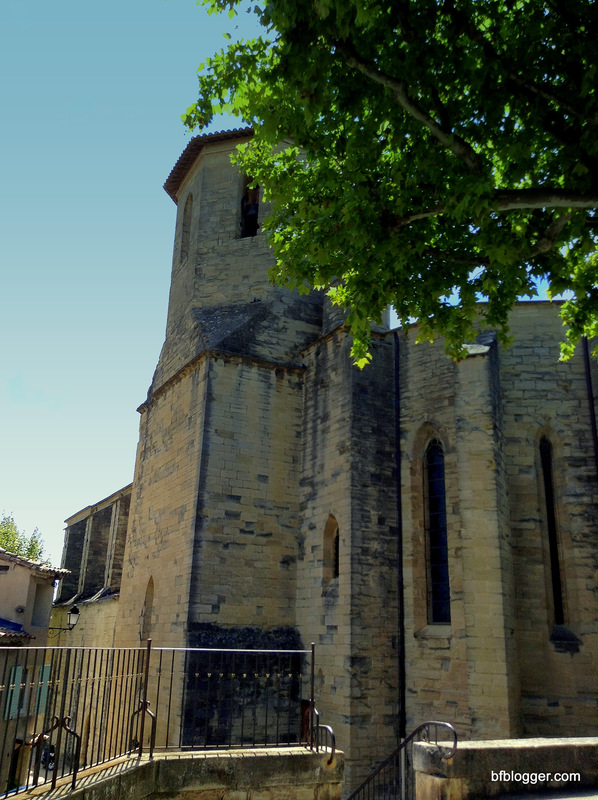 It sits on the main road in the village in front of the Medieval entry. 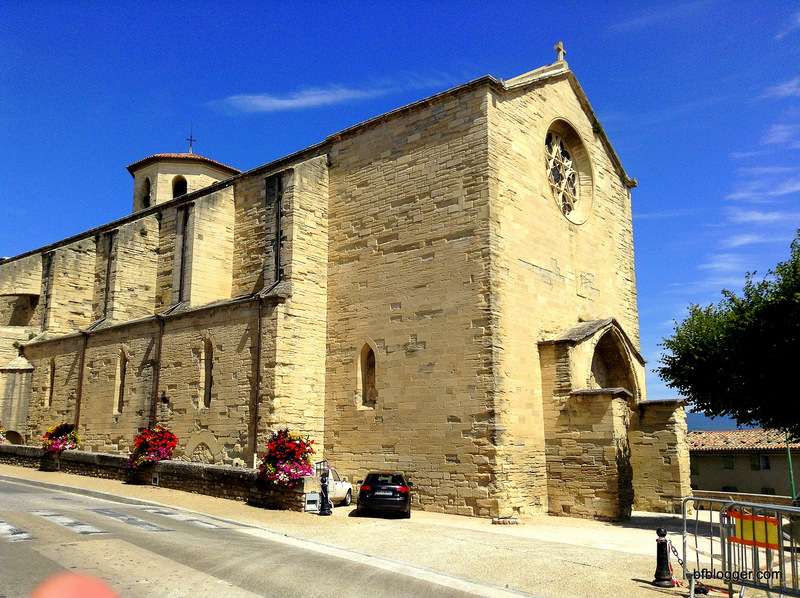 Like other villages in this part of France, many of the streets in Caromb are narrow and the church is at the town’s center. Main street in Caromb is like a modern city with ancient buildings in between the new. 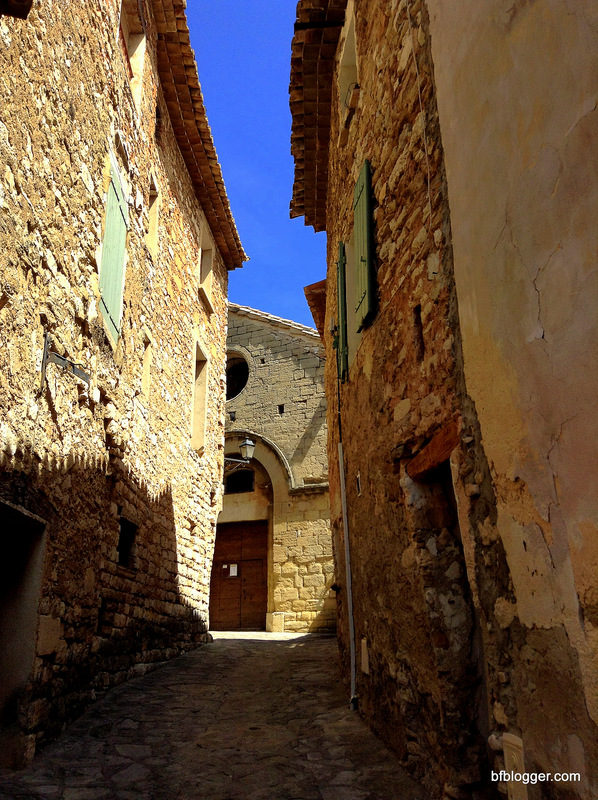 Caromb is on a low hill in the plains of the Ventoux mountains. 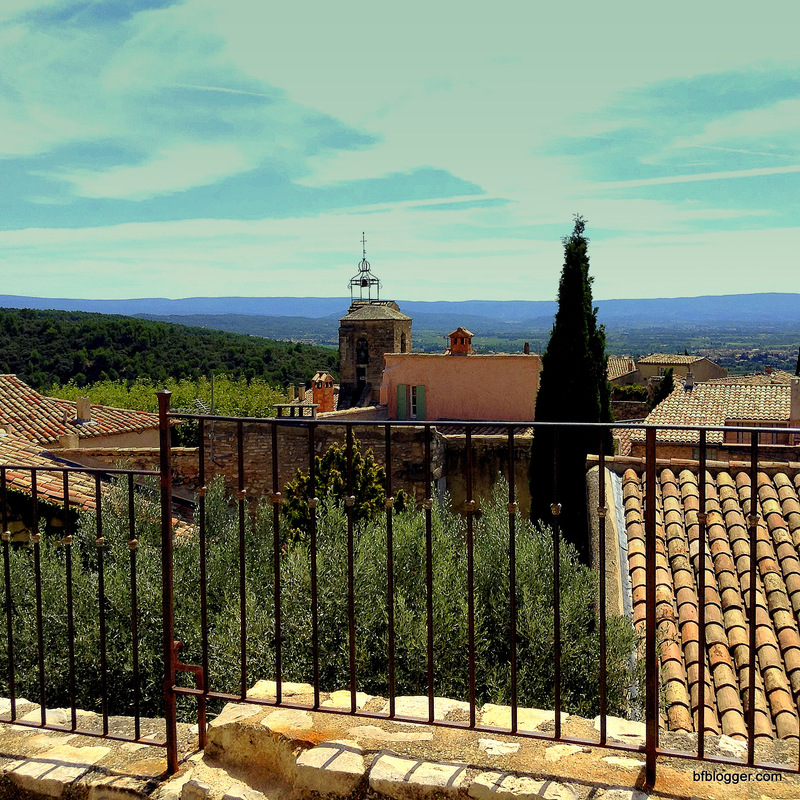 Barroux is the village above Caromb where you can easily get a glimpse of the plain below — especially on such a clear day. 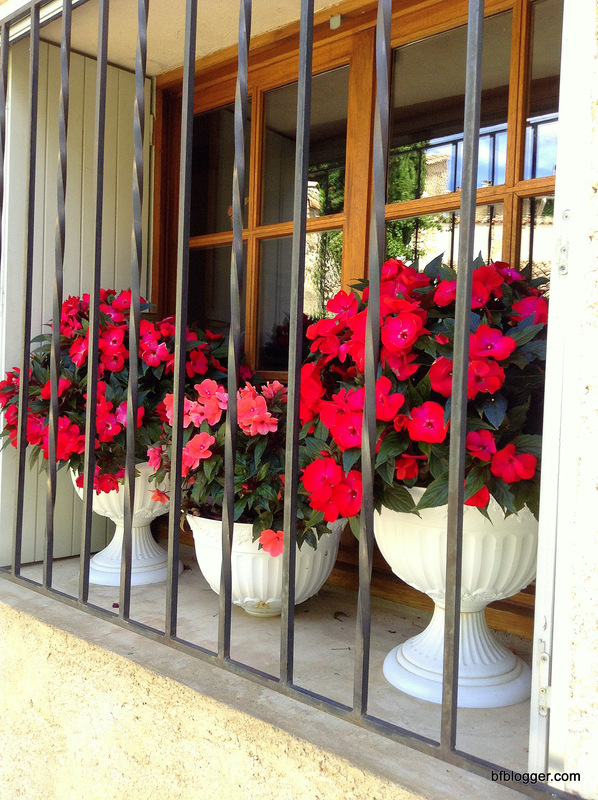 The village of Barroux is well maintained with very expensive housing and lovely views. 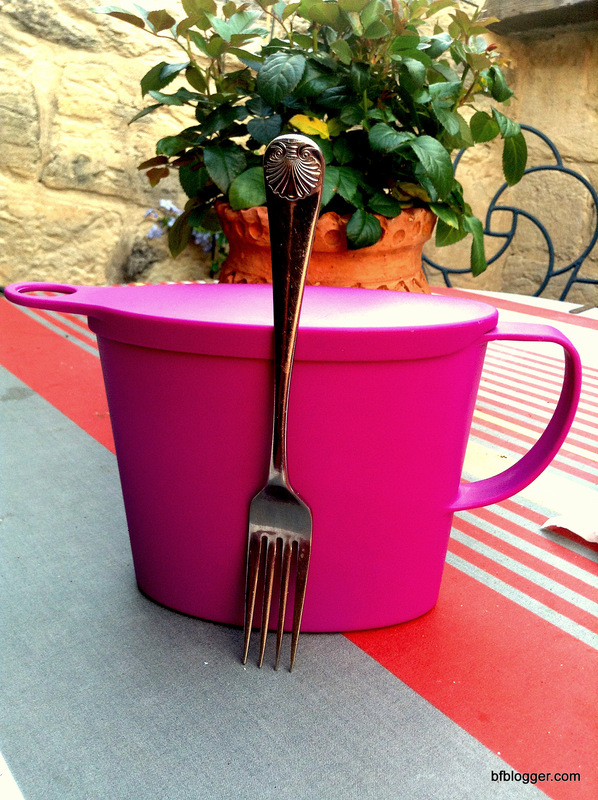 With all the newness of discovering Caromb and Barroux, the day was highlighted by learning about “Pipinette”, the invention of my new friend, Carola. Before you continue reading, please be warned that the subject matter is quite personal and may be too explicit for some to appreciate. “Pipinette” is designed for exactly what the work implies: “When nature calls.” It was initially created for women, however, when it’s popularity in Sweden took off, men started asking for the product. Pipinette’s size compared to dinner fork. Why I used a dinner fork to relate the size of the Pipinette? It was the only thing around at the time. 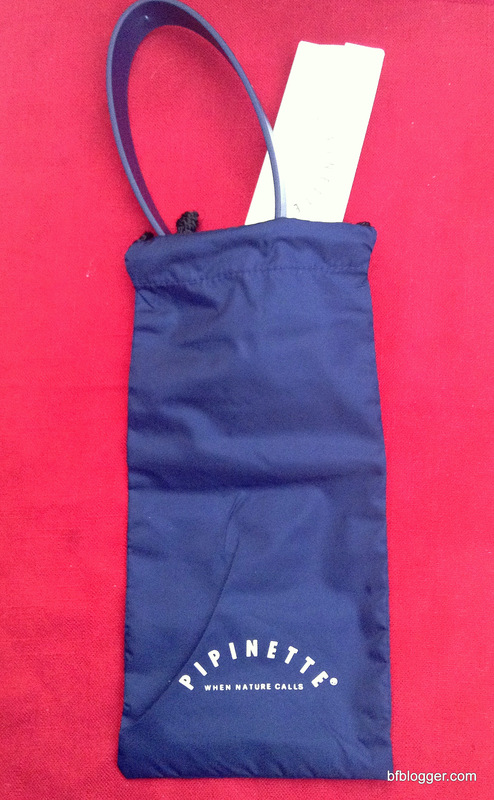 In addition to the “Pipinette Potty”, the product is also available in a “travel kit”. Developing the range of products, Carola worked in close cooperation with medical specialists including urologists, occupational therapists and physiotherapists. 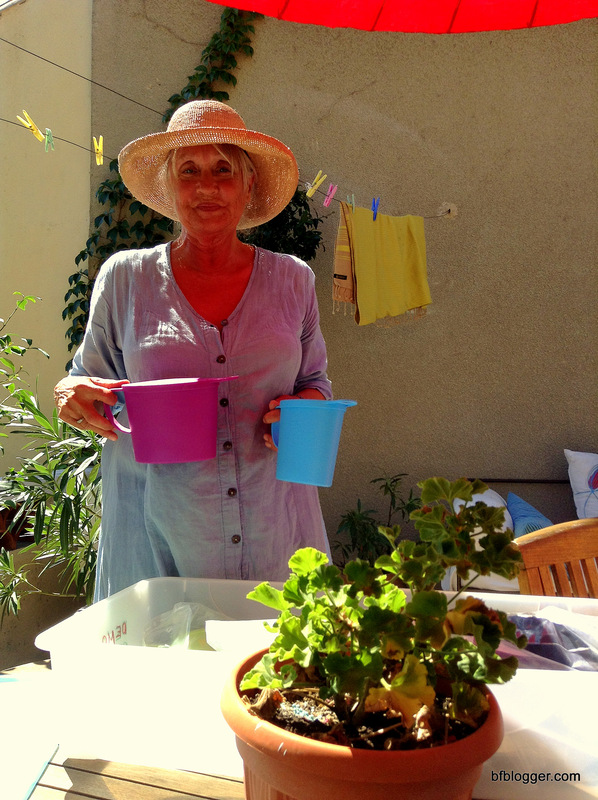 The strikingly beautiful, tall and stately Swede with graying blonde hair tucked carefree under her tan straw hat is still excited about her invention. She gives a sales pitch without batting her sparkling blue eyes. To her credit, Pipinette has received awards for function and design in Sweden, Europe, USA and Japan. All products are environmentally friendly and are design and patent protected, or have patents pending. They are sold in pharmacies, travel and sport stores throughout Europe. 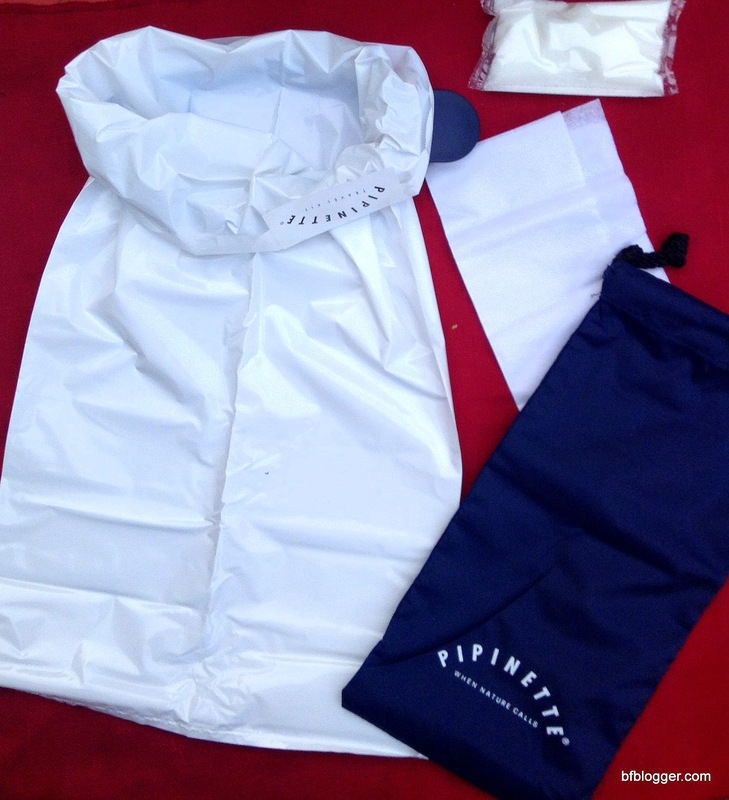 Here’s the “value add” to the Pipinette Travel Kit. It’s not just a ring with a plastic bag. Each bag comes complete with a “magic pad.” The pad is filled with a “magic” powder that, when poured into “liquid” becomes a solid. For one, the Pipinette could not have been discovered at a better time! Both the “Pipinette Potty” and the “Pipinette Travel Kit” are hidden away inside Lucy’s interior. Just wish I had this on that white water rafting trip in Colorado, in China, in Africa … you name it. Thanks, Carola and Hilda for a fun, event-filled day!